Anna Maria Amoroso-Noyes is from Gorham, Maine, and started the violin at five and the viola at twelve. She is a graduate of Mount Holyoke College with a B.A. in English, Minor in Music and Certificate of Ethnomusicology. 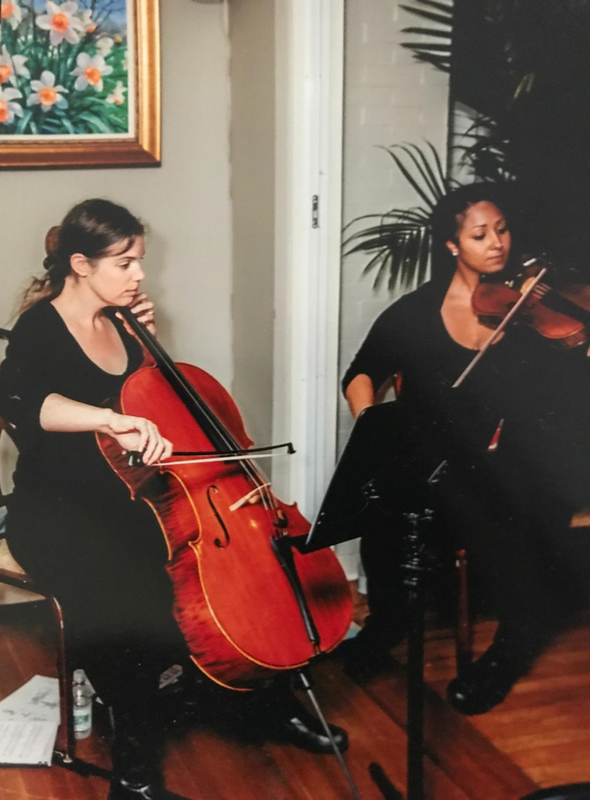 Prior to college, Anna Maria attended the New England Conservatory’s Preparatory School, participating in chamber music and the Youth Philharmonic Orchestra under the direction of Benjamin Zander. Anna Maria has studied violin with Ron Lantz of the Portland String Quartet; viola with Julia Adams of the Portland String Quartet, viola with John Ziarko of New England Conservatory of Music Preparatory Program, and viola with Kathryn Lockwood of the Lark String Quartet. When not playing music, Anna enjoys spending time with her husband and son. She is a member of St Mary Schola early music ensemble, and currently lives and works in Portland, Maine. Jerusha Neely‘s background is in choral music and musical theater. She earned her BM in Voice from the University of CT, with a second concentration in music theory. Shortly after moving to Maine, she began studying cello with Christina Chute (Maine Music Society, Atlantic Piano Trio) and writing songs. For the last 12 years, Jerusha has collaborated with musicians and bands all over New England on voice, cello, piano, and the occasional floor tom.